Charles the black and white pup could almost pull off a Charlie Chaplin with that moustache. 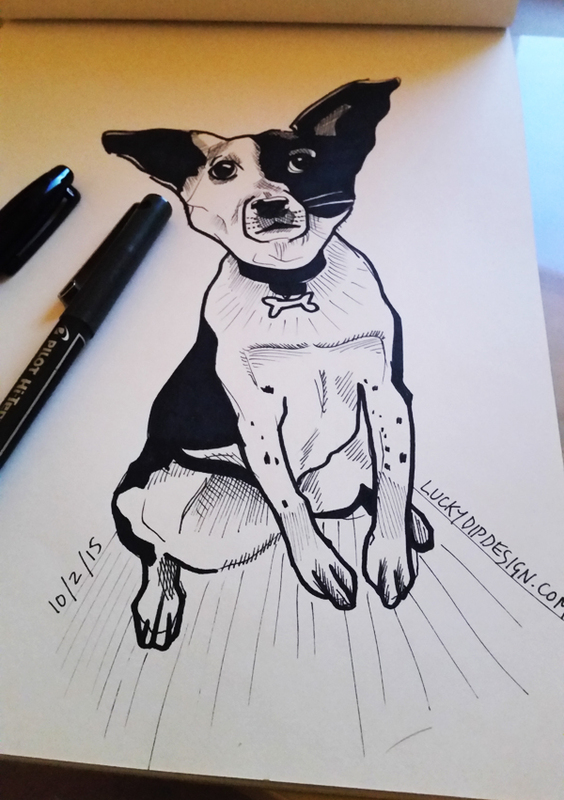 9yearplan asked for a drawing of his black and white pup called ‘Charles’. Help me out! I’m looking for an awesome, simple, even a little cartoony rendition of my border collie Charles. Don’t worry about any sort of background 🙂 I feel like he has gorgeous lines and I just can’t seem to get proportions(or anything) right! I am so thankful in advance for any and all efforts! Y’all have quite a bit of skill.